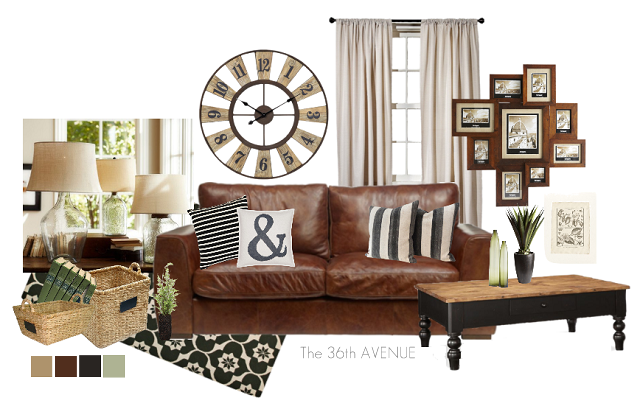 I’ve been putting together some inspiration boards for my living room makeover. Each house has a voice, hopefully it says a lot about those that live in it. 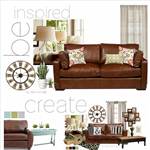 Here are four of the inspiration boards that I put together for our own family room. I love the soothing tones of this color palette. Cool tones can make a room look fresh and clean. This color palette is a little brighter. The pops of red brings attention to the eye. bringing the outdoors into the indoors. by the neutral soft tones of grays and natural elements such as the baskets and plants. 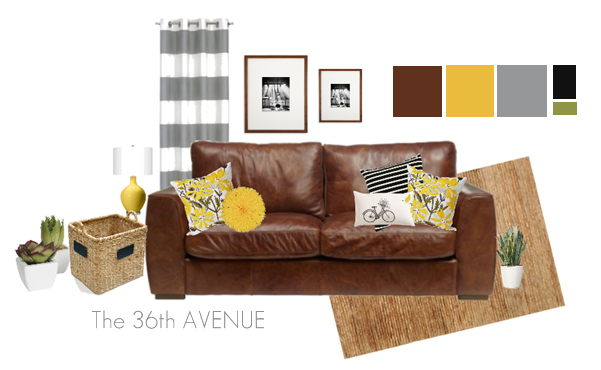 The yellow gives the space a modern flair and a bold pop of color. It is fun and young. I love that here is the texture instead of the color what makes this space interesting and warm. 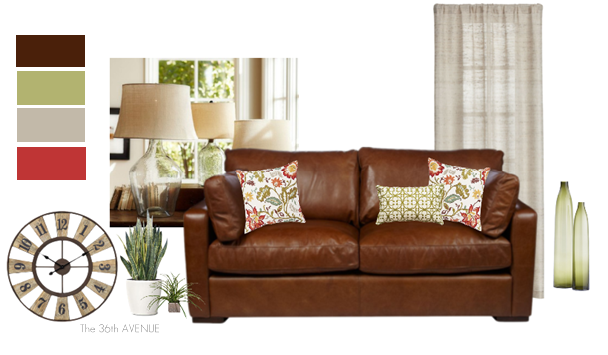 Overlaying patterns and different tones of neutrals can be as striking as bold colors. All four have the same sofa since I am not changing mine. We love our couch and that is a part of the room that will stay for sure. Keep in mind that the personal touches is what makes a house a home. hopefully the final project is what we’ll love. make sure to check out one of my favorite post. 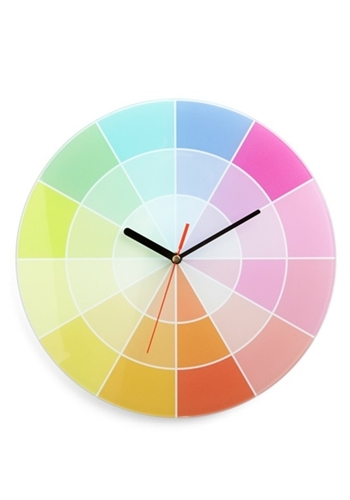 How to use the color wheel. 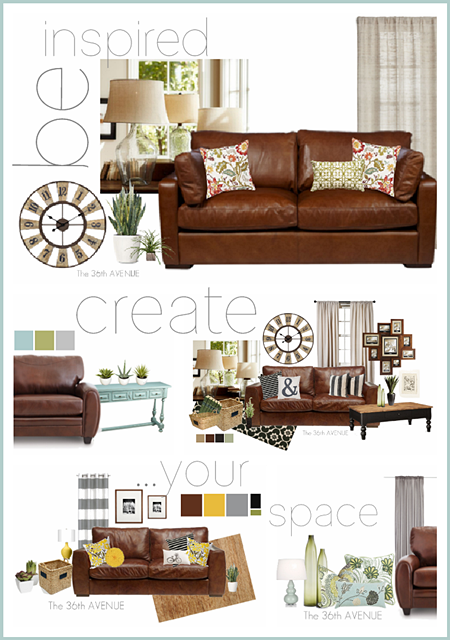 The ocean tones, the earth tones, the modern look, or the neutral tones? Leave me a comment I would love to hear your opinion! Don’t forget to come back to link up your projects! The link party starts at midnight! I love your inspiration board. I saw that someone else asked but I would also love to know how you put them together. This is a great post! I usually buy pieces that I like, which means they don’t always match. But, the last photo allows me room for my one-of-a-kind taste. Thank you! This is a great blog, with wonderful ideas, no matter your style and taste. That is really great home decoration example with the images. I really loved the decoration and thank you for the post. Hi! I love your inspiration boards. What tool or website did you use to make them? I’d love to know! Funny thing — I am also planning a living room, and recently featured on my blog an inspiration board that I made with website, PicMonkey.com. But I’d love to see other options for making these boards!